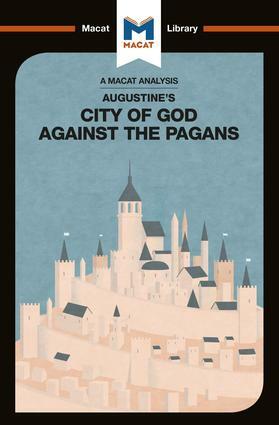 The City of God against the Pagans is a central text in the Western intellectual tradition. Made up of twenty-two lengthy books, Augustine wrote his masterpiece over a thirteen-year period during which the Western Roman Empire began to unravel. The first ten books are a critique of pagan religion and philosophy, while books eleven to twenty-two treat the relationship between the City of God and the Earthly City. Throughout Augustine conveys his mature vision of what it means for a Christian to live in a world with evil. Its arguments and ideas have provoked debate for nearly 1600 years, and remains a central text in the disciplines of theology, historiography, and political theory. What does City of God say? Why does City of God matter? Dr Jonathan D. Teubner is Lecturer in Religious Studies and Associate Director of the Initiative on Religion, Politics and Conflict at the University of Virginia. He received his PhD from Cambridge and was the Fernand Braudel Postdoctoral Fellow at the Laboratoire d’excellence - Religions et Sociétés dans le Monde Méditerranéen in Paris. Dr Teubner has published widely on the thought of Augustine of Hippo, including Prayer after Augustine: A Study in the Development of the Latin Tradition (Oxford University Press) in 2018.